The life of an over-the-road trucker is an exciting one. There’s travel and adventure, picturesque views, unique characters and plenty of memorable experiences. 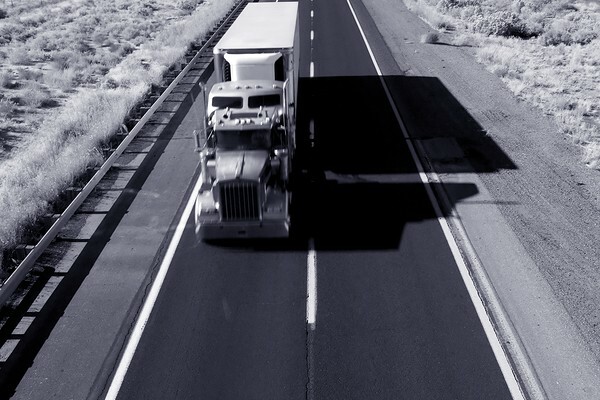 However, at one time or another, every long-haul driver will experience loneliness. Loneliness doesn’t have to drag you down, though. Try these brain hacks for battling the lonely trucker blues. Loneliness is triggered by thoughts about the past. Rather than dwelling on thoughts about folks back home, or good times of the past, think about what is happening right in front of your eyes (especially if you’re driving!). Concentrate on the feeling of a rumbling engine, the smell of the mountain air or the sounds of a vibrant city. Do something fun, productive, relaxing – anything. Work or play, action of any kind, will help snap your mind out of a lonely loop and keep you moving forward. Facebook, Instagram and other nostalgia-inducing social media can really trigger lonely feelings. All the old photos, status updates and special moments being shared can really make you miss being with the people you love. That’s why it’s best to avoid these social media indulgences until you return home. While much of the trucker’s life is spent alone in the cab, there are also plenty of opportunities to talk to new and interesting people. Strike up conversations in line at the coffee shop, at the breakfast counter at Denny’s or while pumping gas at the truck stop. Wave to people on the road, tip your hat to fellow truckers and smile at everyone you walk past. Even the smallest interactions can make the heart warm up a little bit. This may sound like a contradiction to the social media ban, but it’s vitally important to keep in touch with the people that you care about. However, keeping in touch doesn’t mean silently scrolling through Facebook pages. Keeping in touch involves real conversations, whether they happen on the phone or online. Make an effort to call or chat nightly, weekly, or monthly with friends and family. Make a phone call once in a while, or set up nightly skype sessions. Either way, you’ll feel much better after having a real interaction. Besides battling the lonely trucker blues, keeping in touch will also improve home life when you return. By talking and communicating regularly, you will be on the same page as friends and family. This will make the transition from over-the-road life to home life much smoother. For instance, without any prior discussions your family may be planning a trip to the beach when you return home from a long haul. However, the reality may be that you will feel too exhausted to want to drive anywhere. Without talking about it, that point will never get across. Rather than focusing on what you miss, learn to focus the mind on the things you enjoy about life at the moment. 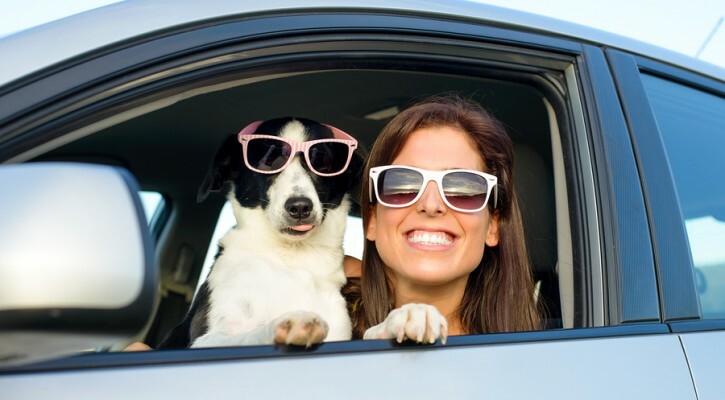 Are you fond of the feeling you get when you’re on the road. Do you enjoy the freedom? Do you relish the idea of waking up in the desert and ending your day in the mountains? How about that upcoming paycheck? Be sure to take stock of everything you have to be grateful for. You’re a Lonely Trucker. Own it. Finally, remember that you are not alone in your loneliness. This feeling plagues the minds of men and women everywhere, and there’s no reason to be embarrassed. So own it. People understand the feeling of loneliness and are often empathetic. That’s why some of the best conversations you will ever have are with fellow truckers and other long-distance drivers. So enjoy the company when you can, and use and share these brain hacks to help battle loneliness on the road. Passing a CDL Road Test is serious business. 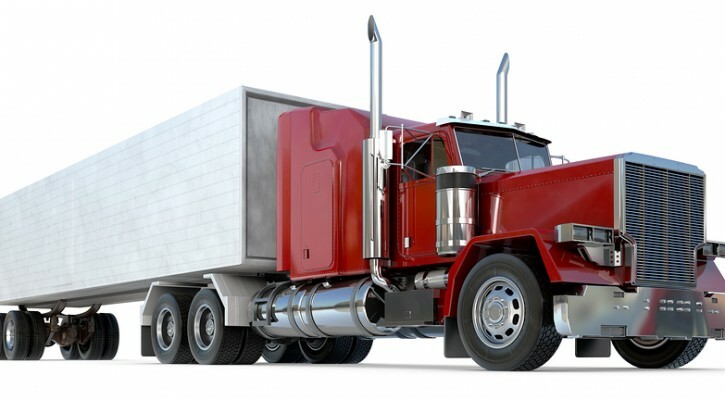 It’s taken a lot of hard work to get to this point, and now your life, your career and everything will depend on a passing grade from the CDL Examiner. Are you ready? Many drivers are surprised to find out that they have failed the test just because they barley rubbed their wheel against a curb. What may seem like the smallest of mistakes, the “curb check”, is actually a potentially deadly one. The danger to pedestrians makes this unsuspecting mishap #1 on the list of automatic fails. When driving a truck, your hands should only leave the steering wheel for essential functions, such as shifting gears. It may seem obvious, however, many people make this mistake unconsciously. They itch their nose, they loose a point. They readjust their glasses, they lose a point. They fix their hair or mess with their phone, and they are automatically failed. The trucking industry is no place for the absent-minded. If you want to drive for a living, then you will need to use every safety feature at your disposal, and that includes turn signals. Using turn signals can prevent accidents, as well as improve traffic flow. It’s important to master the art of taking off from a stop, especially on hills and in heavy traffic. If you roll backwards when taking off from a stop during the exam, you are guaranteed to receive a failing grade. The stakes are high. The time, the money, and the effort have been invested. The examiner looks tough, and the pressure is on. That’s the way they like it. CDL examiners want to see if all this pressure will make you lose your cool. Driving thousands of pounds through dangerous traffic and road conditions every single day is no job for the faint-of-heart. They need to know that you are mentally prepared to perform well under pressure. Failure is a necessary evil. Without it, we would never learn anything. So fail early, fail fast, and fail often. Get in plenty of practice, work out all the kinks. Build your muscle memory, and of course your mental memory. Then, when test day comes, you won’t fail. You will succeed! 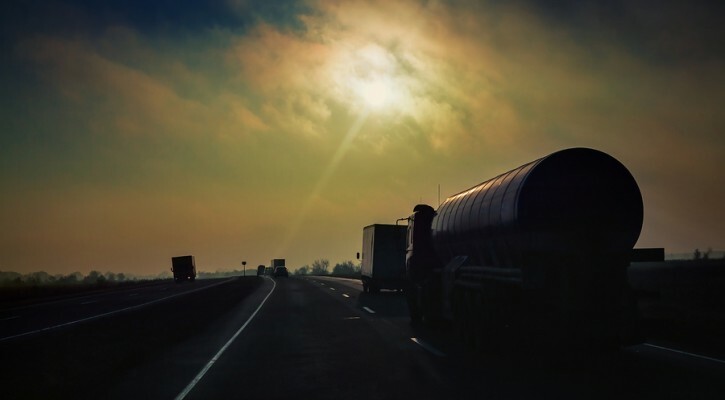 Since the Tracy Morgan trucker crash in 2014, Americans have been especially concerned about safety standards in the trucking industry. 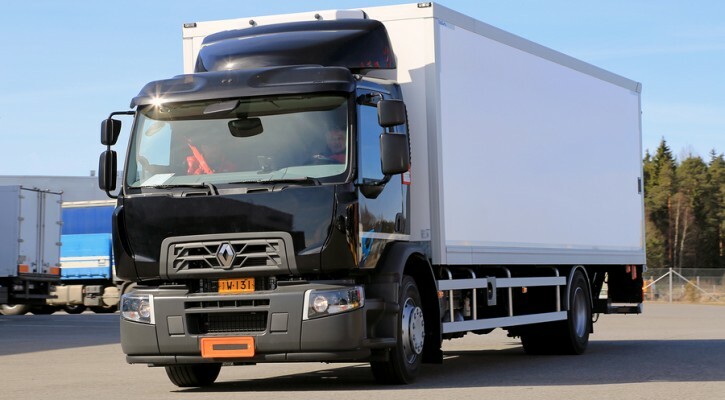 However, many people fail to consider the safety of the drivers themselves, who deal with daily difficulties finding safe, legal parking when sleep is desperately needed. 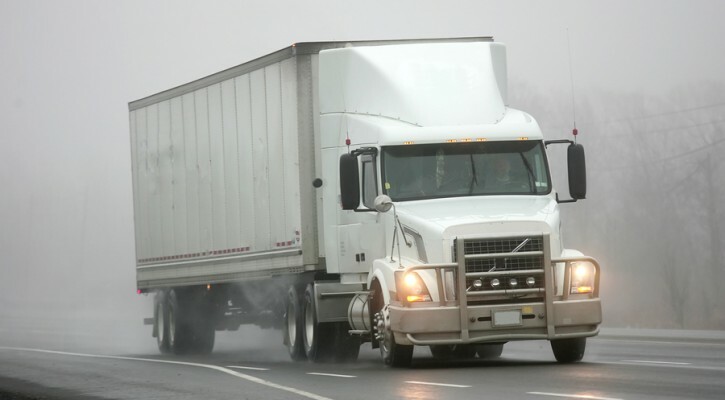 One of the most practical ways to support well-rested, safe truck drivers is to allow them to get off the road when they are tired. 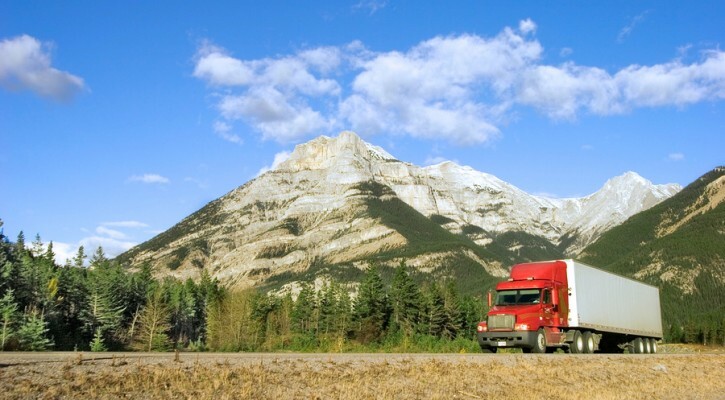 Safe parking for truckers means safer roads for all. An old discussion on Allen Smith’s Truth About Trucking online radio show comes to mind. On the show, Smith was joined by family members of truck drivers who lost their lives because they were forced to park in dangerous places. Veteran trucker David Clark, who has engaged with the driver community on the issue of parking safety and availability, also joined the conversation. Knowing where, when and how to park is part of the trucker’s life. Having conversations such as this is one way to make that life little bit easier, or at least help keep it from getting harder. The truck stop doctor is a new breed of medical provider. Some truck stop docs are generally good folks, some are terrible, and some are even worse. However, every once in a while we come across a wonderful story such as this one. The Washington Post recently published this article featuring a small farm town doctor and a popular truck stop in Virginia. Not only was this doctor and all-around great guy, but he was also named “Country Doctor of the Year”. Now that he has expanded his practice to include evenings at the TA Petro, this truck stop may be winning some awards of its own. The fact that drivers can stop here for an oil change, a workout, a shopping spree, a good meal and even some hunting gear is already a good reason for high marks, but now they can also get a checkup from an exceptional doctor. Dr. Marsh is a decorated U.S. Special Forces medic trusted by local farmers and nomadic truckers alike. That is a rare find in the medical industry, much less the trucking medical industry. Remember, truck drivers have required checkups. This is important for their health, their safety, and the safety of the public at large. That’s why it’s so great to hear stories such as this, which show that convenient, affordable, quality healthcare is available for those on the road. Wondering how to deal with bad dispatchers and careless management? Wondering how you can be a true trucker, keep your job, and still drive safely when everyone is pressuring you to drive beyond your limits? Remember, you are ultimately responsible for the truck you drive. That’s why it’s so important to pull over and sleep when you have to, no matter what anyone says. 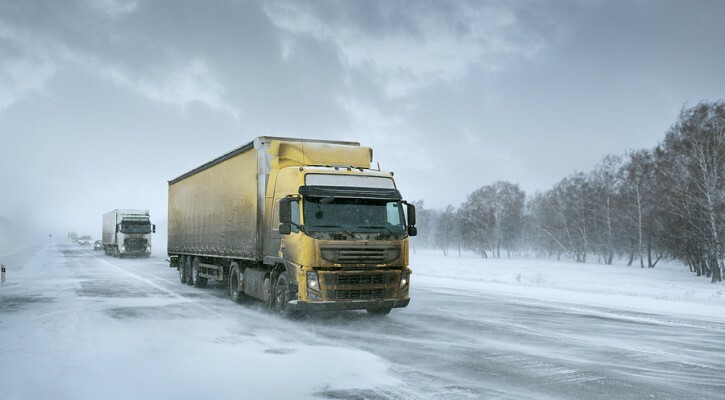 Winter driving conditions create the perfect environment for a highway pile-up. That’s why it’s important for truckers to be smarter than the average driver and avoid travelling in packs. Instead, keep your distance from other vehicles, maximizing the space between your big rig and all the other folks on the road. That way you will have plenty of time to stop no matter how icy, snowy or wet the roads may be. While maneuvering your ride into the best position in traffic, keep in mind that following distance isn’t the only thing that matters. Vehicles beside and behind your trailer are just as susceptible to stupidity as those in front of you, so find that sweet spot that puts the greatest distance between you and everyone else on ALL FOUR SIDES! Of course, the best way to avoid following the pack is to plan your trip around peak traffic hours when passing through major cities. Avoid the morning rush and the after-work traffic jam. Getting in and out of the city before 4PM will ensure smooth, time-efficient travels. Besides the bonus of added safety, driving a greater distance from other vehicles also helps save gas. That means less time out in the cold fueling up, and more time making money behind the wheel. Winter is a dangerous time to be on the road. There is snow, rain, ice and sleet in the forecast for most of the country, creating perilous road conditions. This is no time to be an “over-achiever” and push the HOS (Hours of Services) limits. From northern blizzards to southern floods and thunderstorms, every highway in the U.S. is experiencing harsh weather this holiday season. Getting from Point A to Point B is going to take some excellent winter driving skills, as well as savvy planning skills. Making safe decisions about your route, your driving time, and your ability to navigate through changing weather fronts is especially important. If weather stations are predicting snow or ice, then try to schedule your hours during the day. Research potential truck stops, restaurants and motels to ride out the storm, and don’t feel pressured to drive in dangerous conditions. Dealing with dispatchers can be another tricky matter. Make sure that you communicate often and understand each other when it comes to discussing drive time, traffic and weather conditions. Remember that you are the one that will be held accountable if your truck gets into an accident, not them. So don’t feel like you are letting anyone down by playing it safe and rescheduling an appointment. While on the road, drive at a speed that feels comfortable and controllable. Take it easy, keep a safe distance, and don’t push yourself beyond your capabilities. Save your over-achiever gumption for warmer weather and better driving conditions. In the meantime, drive easy through the winter season and enjoy the holidays!